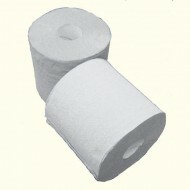 Dispenser for 2-ply embossed centrefeed rolls..
2-ply embossed centrefeed, blue. 150 metres p..
2-ply embossed centrefeed, white. 150 metres ..
White Centrefeed Rolls Mini 12 Rolls 2-ply..